After full days’ work you are so tired that first thing you want to do is go to bed. But imagine how your hectic life takes a toll on your skin. On top of it, due to lack of time you are unable to visit parlours and beauty care centres to rejuvenate your skin. Pollution, irregular eating habits, dust, makeup- all these can worsen your skin and make your skin age faster. If you can spare at least half an hour before sleep for your skin, then it will not only help in improving your skin quality but also make you look fresh the other day. Another important rule is that you make sure that your skin is clean before you go to sleep. Cleansing and moisturising your skin helps in repairing the damage caused to your skin. It is essential to nourish your skin with natural face packs. You need not do them daily but at least twice or thrice in a week is suggested. It is necessary that you use naturally made face packs so as to avoid any reaction or side effects. These face packs will ensure that dead skin is removed and new tissues grow. So, do not miss them; they are essential ingredient of your skin care regime. You can make these face packs at home and that too without much wastage of time. You will find that all the ingredients are a part of your household and thus readily handy. This is one of the easiest face packs to make without any hustle. All you have to do is mix milk with vinegar. Apply on your face and keep it for at least half an hour. As such it is least harmful solution and you can keep it for whole night also. Wash it with cold water and moisturize your skin well. In the morning you will wake up with scintillating shining and youthful skin. It is yet another simple way to rejuvenate your skin. Take 5-6 fresh mint leaves and crush them. Add pinch of turmeric to it and make a fine paste with lukewarm water. Apply on your face and neck and let it dry for 15-20 minutes. After that wash your face with cold water and tap with a soft towel. Don’t forget to moisturise your skin after wash. You will be surprised to see the dullness of your skin gone. After an exhaustive day these pack will give you the much needed calmness. All you have to do is take an egg white and crush it. Add 1 tablespoon of honey to it and also few drops of lime juice. Refrigerate the mixture for some time in your fridge. Now take the mixture out and apply on your face and gently massage. Keep cucumber slices on your eyes to give a soothing effect. Wash it off after 20-25 minutes. This pack also helps in removing your dark circles. Curd is found in every Indian home and it possesses excellent benefits when it comes to skin care. Take a bowl of curd and add either honey or lime juice as per your skin type. 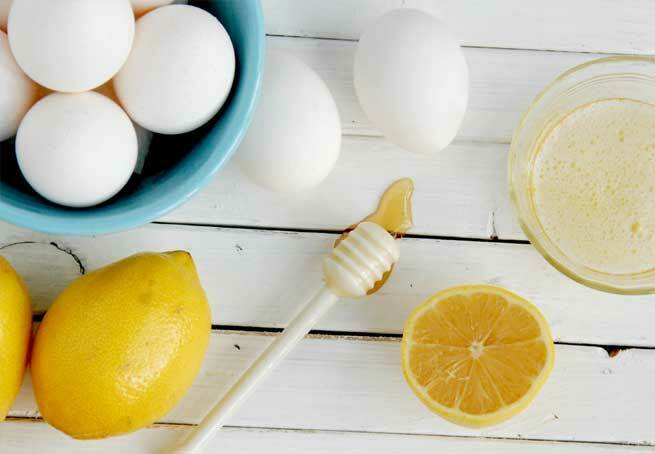 If your skin is oily you can add lime juice while those having dry skin can opt for honey. Apply the pack on your face and let it dry for 15-20 minutes. It is an excellent way to get rid of dead skin and moisturising the skin. Wake up next day with glowing skin. We hope you like this face pack ideas and shall definitely try at home. Do share your results with us.